You’ve been driving for hours, you’re starving and getting desperate. Will you eat a bun-less burger patty? Another container of wilted lettuce and starch-coated veggies? 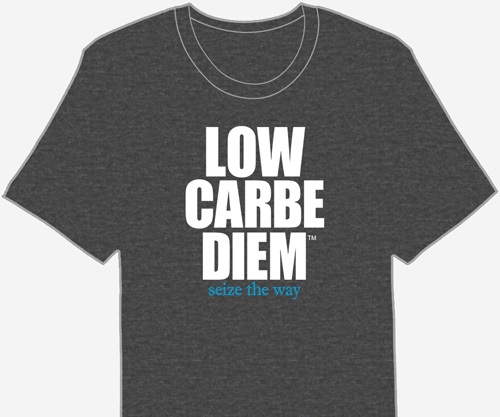 Can I Eat Low Carb and Travel? If you only need one or two meals, you’re in luck. Longer trips require slightly more planning. Packing low carb foods for short trips presents the widest variety of options. Add your favorite Atkins-approved snacks to a cooler and go. Most cooked foods are safe for a few hours at room temperature without posing serious risks, especially in air conditioned vehicles or coolers. Lettuce wraps, ham and cheese roll-ups, and hard-boiled eggs are favorites. Most of these 100 keto snacks also travel very well. Fresh veggies stay crisp and tasty for hours. Make sure to measure correctly and check the net carb counts! Lettuce travels in a cooler beautifully. It’s crunchy, entertaining to munch on and prevents dehydration. Add a container of fresh guacamole or spreadable cheese. Packets of low carb dressing/sauce are perfect for dipping. Bottled olives are a tasty snack and a great addition to any uninspiring salad. You can often find them in the deli section of any grocery store or market. Combined with feta cheese, olives are a great omega 3 fat and protein source. A small travel-size container of olive oil comes in handy for restaurants where salad dressing choices are not carb-friendly. Drying foods is another popular preservation method. Jerky provides a handy protein boost for short trips and stores easily in any bag. Look for high-quality jerky only (made from grass-fed meat, organic ingredients, minimal chemicals). Store-bought jerky is often loaded with artificial ingredients and preservatives, adding to the net carb count. Check each label carefully. These bars come in a variety of flavors and are perfect for longer travel. Roast and season Brazil, almond, pecan and walnuts with Ranch, Worcestershire, salt and pepper, butter, ginger, splash of citrus, curry, garlic or any favorite herb/spice. Nuts are natural, long-term travelers that also fit in your pocket. Spread flavored cream cheese between pecan halves for a mini-sandwich or nutty fat bomb. Grind macadamia nuts and blend with spices and MCT oil for a low carb, high fat mock hummus. Nuts are a classic low carb travel food for a reason– they are an excellent source of protein, crunchy and delicious, shelf-stable at room temperature and easy to find at any gas station or rest stop. Try single-serving packets to control carb counts. Look for almond, cashew and all natural peanut varieties. Individual, single-serving packets of Justin’s Nut Butters are perfect keto snacks for work, school or outside the home. These individual packets are ideal for longer travel. Craving an easy sandwich or bun for your on-the-road hamburger? Try Soul Bread with only 1 net carb per slice. Soul Bread recipes are Atkins Induction friendly, all natural, free of gluten and flour, high protein and very easy to make with no rising! Soul Bread looks, feels and tastes like bread. Soul Bread isn’t anything like the more egg-y, floppy Oopsie roll. Soul Bread is firm, holds up beautifully, and freezes, stores and travels well. Most unflavored or natural dark chocolate is low carb, has incredible health benefits and promotes weight loss if eaten a certain way. Generally, one serving of 80% cocoa or higher dark chocolate has 2-3 grams of net carbs. 70% cocoa chocolate averages about 3.5 net carbs per serving. Dark chocolate is also good for long trips, but watch it – sweet cravings may follow. Snack on these sweet dark chocolate nibs or use them in recipes instead of sugary milk chocolate varieties. Organic, kosher, non-GMO, certified gluten-free and vegan. Even though you can stop at restaurants along the way, you may still want to pack low carb foods for snacks and possible emergencies. Buying select foods and thirty minutes of prep the night before can save huge amounts of time and irritation when you’re packing for a vacation or many days of travel. Throughout history, we have developed many ways to keep meat fresh. One method is to mix it with fat, which functions as a natural preservative. Try using a less-lean type of ground beef or sausage. Or, you can add a little salt. Bacon, sausage, ham and feta cheese are all naturally salty foods. Salt draws water out of the meat, reducing bacterial growth. Unless you’re restricting your salt intake– it’s a perfectly healthy way to keep food fresher for a longer time. It’s very easy to pack up some leftovers before you leave the house and enjoy them a few hours later. What a great way to save money– don’t throw away leftovers that will go bad by the time you return. Simply bring them for lunch! Freeze individual leftover packets overnight in Ziploc bags, containers or foil. Use the frozen packets as “ice” in your travel cooler to keep the drinks and other foods cold. Magically, they will thaw out and be ready to eat by mealtime. Bottled and canned fruits, vegetables and meats store and travel well, requiring only a trip to the grocery store. Choose cans with peel-top lids for easy on-the-go snacking. Be sure to check the labels, as many canned foods also contain soy sauce.